"Take action, feel uplifted & find confidence"
About me: Hello! 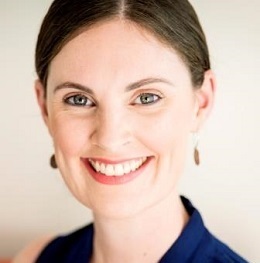 I’m Alex, a Psychologist (registered in Australia), Career Development Practitioner and Performance Coach. I'm committed to helping people grow in line with their personal values. I'll hold you accountable, challenge you, and maybe ask you some tough questions because I care about you, and this is what will give you the change you're seeking. How I can help: Maybe you've known for a while that you need to change things up, or maybe your feeling unhappy, or maybe things are going well but you want to continue to perform at your best – I help those that are interested in growth - going from A to B effectively. About the services I provide: The areas I love to work in are Founder Health, Executive and Career Coaching, Anxiety, and Workplace Conflict issues. Appointments: I'm available via Becon Health regularly and I encourage my clients to book in for multiple sessions at a time to ensure you ‘have your spot’, as my calendar can fill up quickly. Typically people will see me weekly to begin with, changing to fortnightly and then monthly as they improve. If you would like to check if I provide a particular service or to see if I'm a good fit for you, I would be happy for you to initially engage in a "Quick Consult" (15 mins) through Becon Health. 70% of your outcomes are dependant upon our rapport - so this is important! If you're good to go, simply book in for a "Regular Session" (50 mins). I look forward to working with you! My standard fee is $200 per 50 minute usual session. If this will be a barrier to you accessing the support you need, just let me know. Disclaimer: I see clients located in many places! If you're located in Australia, you can call me a psychologist as that's where I hold registration. If you are located outside of Australia, I'm known as "Your Biggest Supporter" and do not provide psychological services. Instead, my services are more coaching orientated and I have a range of experiences from which I pull from to help you get to where you need to be!